The Responsible Use of Medicines in Agriculture (RUMA) alliance has outlined the responsible approach taken by UK agriculture to antibiotic use after England’s chief medical officer warned of a possible 'post-antibiotic apocalypse'. 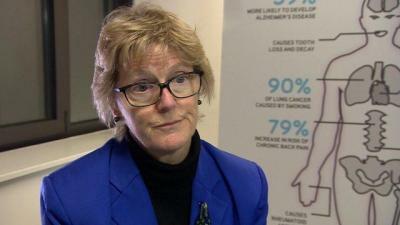 Dame Sally Davies was speaking at a global ‘Superbugs’ conference held in Berlin on Friday. She said that if antibiotics lose their effectiveness it will spell 'the end of modern medicine'. Without the drugs used to fight infections, common medical interventions such as caesarean sections, cancer treatments and hip replacements would become incredibly 'risky', she said. RUMA Secretary General John FitzGerald said: “It’s critical the issue of antibiotic resistance and drug resistant infections is raised at every opportunity. It is a One Health problem that affects all of us – the public, doctors, vets, animal keepers – and we can all play a part in tackling it. “While we wholeheartedly support the calls for responsible use and oversight of antibiotics globally in both human and agricultural sectors, we want to stress that the situation in the UK is very different, with fewer antibiotics used in farming than in many parts of the world, and no antibiotic growth promotion permitted. "All antibiotics must be prescribed by a vet and used only to treat or prevent the spread of disease to maintain the health and welfare of the animal." “Between 2014 and 2015, sales of antibiotics for farm animals fell 10% and we are expecting further reductions when the sales data from 2016 is released by the Veterinary Medicines Directorate later this month." Each livestock sector, with the NPA feeding into the targets for pigs, has been working on setting its own targets for reducing, refining or replacing antibiotics. These will also be released at the RUMA on October 27. Mr Fitzgerald said: “We all accept that action in farming is one part of the solution, and are very pleased with the engagement from UK livestock sectors.